The New Jersey Jeep Associated hosted the 3rd Annual New Jersey JEEP Invasion in Wildwood during June 19th through June 21st, 2015. 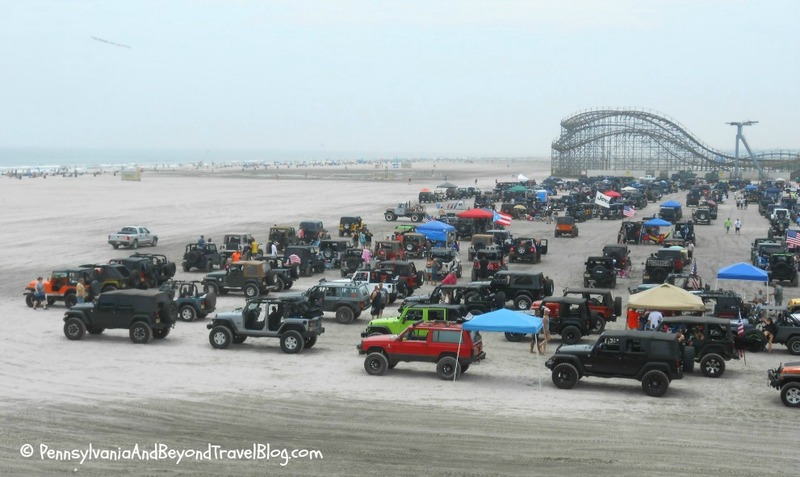 We love the JEEP brand and were super excited to attend this fun event last month. The invasion was held directly on the Wildwood beach near East Schellenger Avenue and East Spencer Avenue. 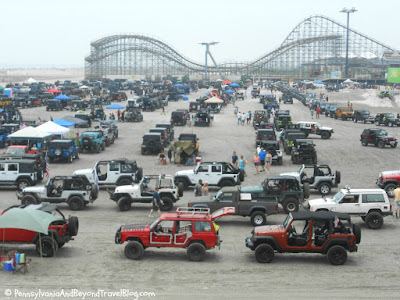 This event allows local JEEP owners and lovers to get together in a family-friendly atmosphere and to have a good time. There were many vendors there selling JEEP items. They had a really cool JEEP obstacle course set up directly on the beach and you would watch them run the course which was really fun to see. 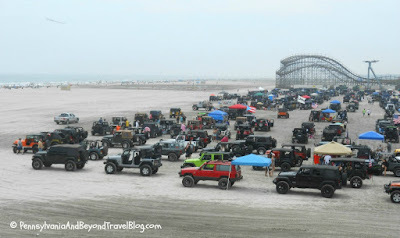 There were hundreds and hundreds of JEEP owners in attendance and thousands of fans watching! All JEEPS had to be registered and they did charge them a fee. The event was 100% free to attend for spectators and fans. They held contests for various things...like the best decorated JEEP in the Doo Wop style. We spent a few hours there on Saturday and on Sunday. 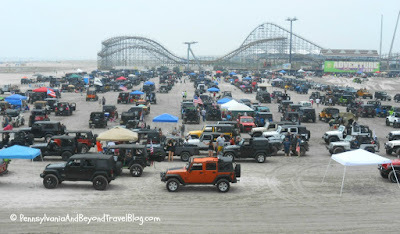 The event (invasion/rally) concluded on Sunday with a JEEP parade which was really cool to see. Hundreds of different JEEPS lined up and parading around for spectators and fans to see. We had a great time at this free event while on vacation down at the Jersey Shore. We are hoping that the New Jersey JEEP Association holds the event again next year in Wildwood as it was the perfect location for an event like this. If it comes back to Wildwood, we will definitely attend again. This does sound like a cool event to attend. I love the idea of the different types of jeeps dressing up in different ways.